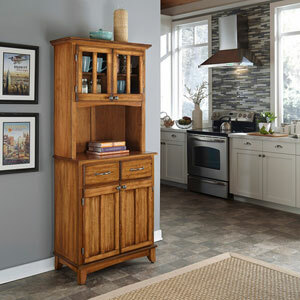 This Home Styles small server is constructed of hardwood and wood products in a cottage oak finish with a natural wood top. This furniture is perfect for any home or office decor. Assembly required. This product ships in three (3) boxes.